PALIN: Will We Stand for This? Breitbart has published the following op-ed from Sarah Palin. She asks the right question, that being, “will we stand for this”? As more information about the IRS scandal trickles out daily, the White House’s involvement is becoming clearer. Those of us who’ve been warning about the demise of freedom with Barack Obama’s efforts to “fundamentally transform” our great nation are about to witness some sad vindication. Will awakened Americans finally join us in saying “enough is enough”? The president would like us to believe that he only learned about the IRS corruption from watching the news. But we recently learned that the White House was actively working with the IRS on how to roll out the story of this scandal. So, Mr. President, how can you have your staff work on the roll out of the biggest controversy since Watergate, and yet claim that you only heard about it by watching the news with the rest of us? For the president to deny any knowledge of what was brewing and to claim to know nothing about the Benghazi cover-up or anything about anything White House-related lately, he’s either a liar or a hugely incompetent CEO. You decide. Yesterday, we also learned that the top IRS official involved in the targeting scandal is planning on pleading the Fifth during her Congressional hearings. That’s keen – she’ll be able to enjoy her Fifth Amendment rights in a hearing about how her intimidating organization denied Americans the ability to fully exercise their First Amendment rights. Keep in mind that the IRS considers you guilty until proven innocent when they audit you. The Fifth Amendment doesn’t apply. This scandal is not just about the IRS targeting Americans to deny them tax-except status or subjecting them to harassing retaliatory audits. The IRS also leaked to left-wing reporters the confidential application information submitted by conservative groups. The IRS claims that their leaking of information was “inadvertent and unintentional disclosures by the employees involved.” They at first blamed the entire IRS scandal on a couple of employees who “went rogue,” but we soon found out that this was just more malarkey coming from the president’s spokesman. But even if these were “inadvertent and unintentional disclosures,” is that supposed to make us feel better? With the IRS running Obamacare, what are the chances that our confidential information and medical records will “inadvertently” and “unintentionally” be disclosed? Please remember that some of us warned America about the dangers of having the IRS play such a big role with the administration of Obamacare. We were laughed at and mocked relentlessly back then. It sure doesn’t seem funny now, does it? This IRS scandal is especially terrible because Americans live in fear of the IRS like no other entity because this monstrous bureaucracy has the power to take your hard-earned money. Your wages are the sum of your labors; hence, the IRS has the power to steal the fruits of your labors. Average Americans live in fear of making an error on their tax returns that could cost them massive amounts of money, plus their reputation and good name. If a small business makes a mistake, the IRS can shut them down and send them to jail. The IRS has always been the face of intimidating and controlling big government. Now it’s the face of corrupt big government that actively attacks the people it is supposed to serve. This isn’t the change America was hoping for, Mr. President, but it certainly is transformative. Average everyday Americans like my dad and his non-political buddies are outraged by this IRS scandal, perhaps more so than all the other White House fiascos that are making the radical Left’s intentions crystal clear. It’s because this IRS cluster hits close to home for everyone. It’s tangible proof of how a corrupt government can intimidate and target a person’s record, reputation, and life, and make them feel helpless. 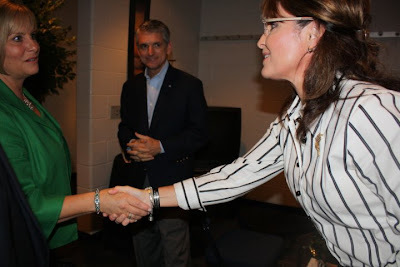 Speaking at Freedom Fest in Norfolk, Virginia Sarah Palin laid out her very aggressive agenda for the nation. This is a powerful indictment of the Obama regime, and the corrupt “lamestream media” as well. Fresh from her speech at California State University, at Stanislaus, where she spoke of American exceptionalism, and the need to get back to the basics in education, and raised more money for the university than any other speaker in history, Sarah came to Virginia ready to take on the big issues that we face. 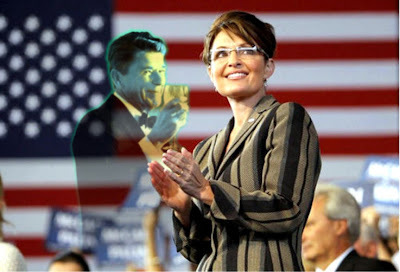 With every passing speech, every new appearance, Sarah Palin looks more powerful, more in control, and more presidential. This is a compelling speech, where she implores the American people not to settle for second best. She tells us not to allow Barack Obama and his minions get away with saying America’s finest hours are behind us, and that we are just another nation among nations. Don’t let Obama and the rest of the Marxist-democrats tell you America is not the greatest force for good the world has ever known. Earlier this week, I spoke at the Freedom Fest in Norfolk, Virginia; and, evidently, the media was asked to leave – not by me, that’s for sure. I want my message out, so despite reporters making up a story about “Palin people kicking us out” (uh, the “Palin people” entourage would consist of one person – my 15-year-old daughter, Willow – and I have no doubt she could take on any reporter, but I know for certain she didn’t “kick ‘em out” of the event). Anyway, here are some of the key issues I spoke about. It takes a lot of resources to maintain the best fighting force in the world – especially at a time when we face financial uncertainty and a mountain of debt that threatens all of our futures. We have a federal government that is spending trillions, and that has nationalized whole sections of our economy: the auto industry, the insurance industry, health care, student loans, the list goes on – all of it at enormous cost to the tax payer. The cost of Obamacare alone is likely to exceed $2.5 trillion dollars. Something has to be done urgently to stop the out of control Obama-Reid-Pelosi spending machine, and no government agency should be immune from budget scrutiny. We must make sure, however, that we do nothing to undermine the effectiveness of our military. If we lose wars, if we lose the ability to deter adversaries, if we lose the ability to provide security for ourselves and for our allies, we risk losing all that makes America great! That is a price we cannot afford to pay. This may be obvious to you and me, but I am not sure the Obama Administration gets it. There isn’t a single progressive pet cause which they haven’t been willing to throw billions at. But when it comes to defense spending, all of a sudden they start preaching a message of “fiscal restraint.” Our Defense Secretary recently stated the “gusher” of defense spending was over and that it was time for the Department of Defense to tighten its belt. There’s a gusher of spending alright, but it’s not on defense. Did you know the US actually only ranks 25th worldwide on defense spending as a percentage of GDP? We spend three times more on entitlements and debt services than we do on defense. Now don’t get me wrong: there’s nothing wrong with preaching fiscal conservatism. I want the federal government to balance its budget right now! And not the Washington way – which is raising your taxes to pay for their irresponsible spending habits. I want it done the American way: by cutting spending, reducing the size of government, and letting people keep more of their hard-earned cash. But the Obama administration doesn’t practice what it preaches. This is an administration that won’t produce a budget for fear that we discover how reckless they’ve been as fiscal managers. At the same time, it threatens to veto a defense bill because of an extra jet engine! This administration may be willing to cut defense spending, but it’s increasing it everywhere else. I think we should do it the other way round: cut spending in other departments – apart from defense. We should not be cutting corners on our national security. Well, my answer is pretty simple: Yes, we can and, yes, we do because we must. Our Navy has global responsibilities. It patrols sea lanes and safeguards the freedoms of our allies – and ourselves. The Navy right now only has 286 ships, and that number may decrease. That will limit our options, extend tours for Navy personnel, lessen our ability to secure our allies and deter our adversaries. 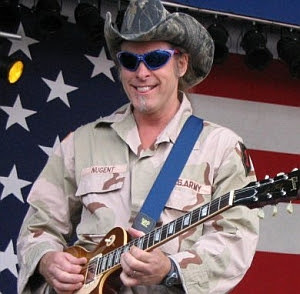 The Obama administration seems strangely unconcerned about this prospect. When George W. Bush came into office, he inherited a military that had been cut deeply, an al Qaeda that had been unchallenged, and an approach to terrorism that focused on bringing court cases rather than destroying those who sought to destroy us. We saw the result of some of that on 9/11. When President Obama came into office, he inherited a military that was winning in Iraq. He inherited loyal allies and strong alliances. And thanks to the lamestream media pawing and purring over him, he had the benefit of unparalleled global popularity. What an advantage! So their basic foreign policy outlines should have been clear. Commit to the War on Terror. Commit to winning – not ending, but winning the war in Afghanistan. Commit to the fight against violent Islamic extremism wherever it finds sanctuary. Work with our allies. Be resolute with our adversaries. Promote liberty, not least because it enhances our security. Unfortunately, these basic principles seem to have been discarded by Washington. His administration has banned the phrase “war on terror,” preferring instead politically correct nonsense like “overseas contingency operations.” His Homeland Security Secretary calls acts of terrorism “man-caused disasters.” His reckless plan to close Guantanamo (because there’s no place to go after it’s closed) faces bipartisan opposition now. The Attorney General just announced that a decision about where to try terrorists like 9/11 master mind Khalid Sheikh Mohammed would not be announced until after the mid-term elections. Is there something he’s afraid to tell us? In Afghanistan, it is true that President Obama approved deploying additional forces to the conflict – most, but not all the troops requested by commanders on the ground. But it took months of indecision to get to that point, and it came at a very high price – a July 2011 date to begin withdrawal. This date was arbitrary! It bears no relation to conditions on the ground. It sends all the wrong signals to our friends and to our enemies. We know our commanders on the ground are not comfortable with it. Does the President really believe the Taliban and al Qaeda won’t be empowered by his naming of a starting date for withdrawal? They now believe they can beat him simply by outlasting us. What sort of effect does he think this will have on the morale of our troops – and of our allies? It’s not the only area where the Obama administration has failed our allies. They escalated a minor zoning issue in Jerusalem into a major dispute with our most important ally in the Middle East, Israel. They treated the Israeli Prime Minister shabbily in Washington. When a Turkish sponsored flotilla threatened to violate a legal Israeli blockade of Hamas-run Gaza, the Obama Administration was silent. When Israeli commandos were assaulted as they sought to prevent unmonitored cargoes from being delivered to Hamas terrorists, the Obama Administration sent signals it might allow a UN investigation into the matter – an investigation that would be sure to condemn our ally Israel and bemoan the plight of Hamas. Loyal NATO allies in central Europe were undermined by the cancellation of a missile defense program with virtually no warning. At the same time, Russia and China are given preferential treatment, while remaining silent on their human rights violations. Meanwhile, the Obama Administration reaches out to some of the world’s worst regimes. They shake hands with dictators like Hugo Chavez, send letters to the Iranian mullahs and envoys to North Korea, ease sanctions on Cuba and talk about doing the same with Burma. That’s when they’re not on one of their worldwide apology tours. Do we get anything in return for all this bowing and apologizing? No, we don’t. Yes, Russia voted for a weak sanctions resolution on Iran, but it immediately stated it could sell advanced anti-aircraft missile to Iran anyway, and would not end its nuclear cooperation. In response to North Korea’s unprovoked sinking of a South Korean Navy ship, China warned us not to take part in military exercises with our ally. And while President Obama lets America get pushed around by the likes of Russia and China, our allies are left to wonder about the value of an alliance with the U.S. They have to be wondering if it’s worth it. It has led one prominent Czech official to call Obama’s foreign policy “enemy-centric.” And this “enemy-centric” approach has real consequences. It not only baffles our allies, it worries them. When coupled with less defense spending, it signals to the world that maybe we can no longer be counted on, and that we have other priorities than being the world leader that keeps the peace and provides security in Europe, in Asia and throughout the world. Together with this enemy-centric foreign policy, we see a lessening of the long, bipartisan tradition of speaking out for human rights and democracy. The Secretary of State said she would not raise human rights with China because “we pretty much know what they are going to say.” Democracy promotion programs have been cut. Support for the brave Iranians protesting their government was not forthcoming because President Obama would rather try to cut a deal with their oppressors. When the world’s dictators see the United States unconcerned with human rights and political freedom, they breathe a sigh of relief, because they know they have a free hand to repress their own people. This goes against the very ideals on which our republic was founded. There is a long bipartisan tradition of speaking out in favor of freedom – from FDR to Ronald Reagan. America loses something very important when its President consigns human rights and freedom to the back burner of its international priorities. We have a President, perhaps for the very first time since the founding of our republic, who doesn’t appear to believe that America is the greatest earthly force for good the world has ever known. When asked whether he believed in American exceptionalism, President Obama answered, “I believe in American exceptionalism, just as I suspect that the Brits believe in British exceptionalism and the Greeks believe in Greek exceptionalism.” Amazing. Amazing. I think this statement speaks volumes about his world view. He sees nothing unique in the American experience? Really? Our founding, and our founding mothers and fathers? Really? And our history over the past two and half centuries? Really? He sees nothing unique in an America that fought and won two world wars and in victory sought not one inch of territory or one dollar of plunder? He sees nothing unique in an America that, though exhausted by conflict, still laid the foundation for security in Europe and Asia after World War II? He sees nothing unique in an America that prevailed against an evil ideology in the Cold War? Does he just see a country that has to be apologized for around the world, especially to dictators? President Obama actually seems reluctant to even embrace American power. Earlier this year when he was asked about his faltering Middle East peace process, he said “whether we like it or not, we remain a dominant military superpower.” Whether we like it or not?! Really? Mr. President, this may come as news to you, but most Americans actually do like it. And so do our allies. They know it was our military might that liberated countless millions from tyranny, slavery, and oppression over the last 234 years. Yes, we do like it. As a dominant superpower, the United States has won wars hot and cold; our military has advanced the cause of freedom and kept authoritarian powers in check. It is in America’s and the world’s best interests for our country to remain the dominant military superpower, but under President Obama’s leadership that dominance may be slipping away. It’s the result of an agenda that reeks of complacency and defeatism. I want to address the question of this blogger, who none of us has ever heard of, but indeed has a blog, that claims he was kicked out of Freedom Fest after a few minutes of blogging Sarah’s speech. Now we find that rather a dubious claim on many levels. 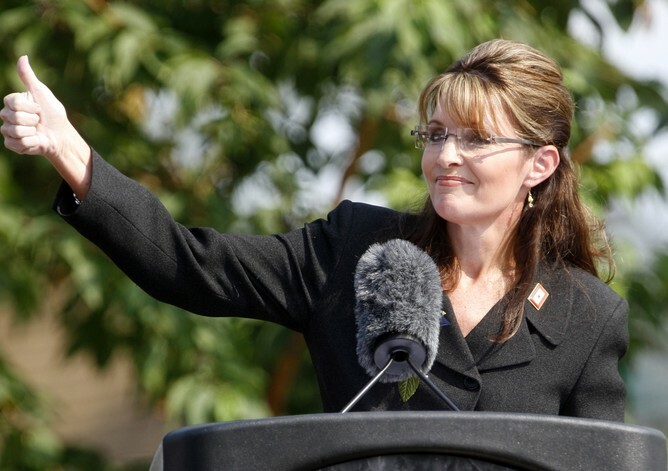 People live blog from pretty much every speech Sarah gives, especially events like this. People park on Twitter waiting anxiously for every quote, every tidbit of information about the event, hungry for all things Palin. Some have suggested that maybe an outsider, posing as an event official, an “agent provocateur” may have wondered in to cause trouble, but that’s getting out there where the buses don’t run. The thing that makes us really doubt this blogger’s story is the fact that video, clearly shot from someone in the audience, exists. If they were kicking out fully credentialed and somewhat “official” bloggers, how did the video posted by “Daily Press News” come into being? You’ll read more about this in the coming days I’m sure, but as Stacy Drake wrote in her latest offering, this is all about stealing the headlines away from what Sarah actually has to say, the substance, and mis-directing you somewhere else. 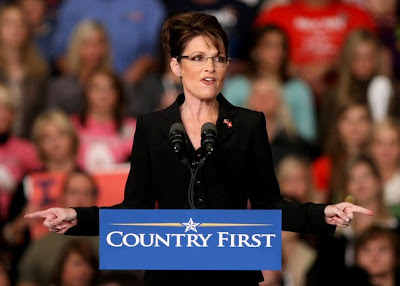 There are a whole lot of people both Marxist-democrats, and establishment Republicans, who would just as soon you didn’t pay attention to Sarah Palin and her strong message. They just as soon you forget she is one of the few real leaders this nation has. 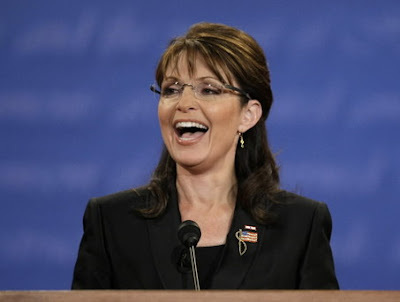 Our best advice when it comes to Sarah Palin, is to pay attention to what this magnificent woman says, and ignore the spectacle that those who don’t have America’s best interest at heart, make of themselves, trying to get you to ignore her! As I sit here this wonderfully brisk Monday morning, I am reflecting on a dream, a dream of liberty and freedom. I’m seeing a world where all of mankind is free from tyranny and oppression. I’m seeing a world where hate is considered a wasted effort, and has been replaced with joy and kindness. I see a world where all men are able to reach their fullest potential, where they are free to reach their highest goals. That speech, those glorious words, were spoken by Dr Martin Luther King, Jr. in Washington, D.C. on August 28, 1963. As we reflect on the words of one of the great spiritual and moral leaders our nation has ever known, many emotions overcome us. Dr King speaks about the basics of humanity, the desires of all men to be free, to exercise the natural rights they are given by their creator. In Dr King’s world, the color of a man’s skin would have no bearing on how he fits into society. In Dr King’s world, it is the content of a man’s character that determines his station in life. It is the content of a man’s character says it all. It is a glorious dream. But it is still just a dream. 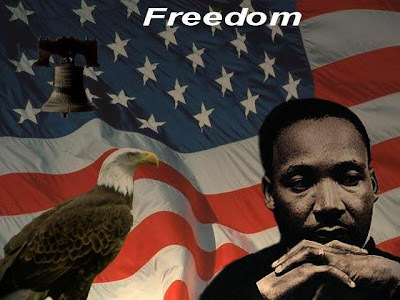 In the world we live in today, 47 years after Dr King gave what is one of the most important speeches in the history of this great nation, there are still men who are not free. Tyranny and oppression only grows with each passing day and certain factions have used the color of a man’s skin to control all. To intimidate those who would rather speak of character, of honor, and of righteousness. Sadly, when the world lost Dr King to the assassin’s bullet, we lost one of our true leaders. A man who understood how civil society should work, how it must work, to survive and to flourish. We have seen the very oppressors that Dr King sought to defeat co-opt his movement and claim his banner as their own. These oppressors have used deceit and trickery to not only keep those who were down in their place, but to add to their ranks. We have seen a great evil take hold of this nation. We now have those who seek to divide us, to pit the races and the sexes against one another, in the name of Dr King, and others, in order to gain power and control. These men of low character know that a nation divided is a nation conquered. As long as they can foment discontent, and work to prevent racial harmony, they will always remain in power. Much better that we fight each other than to rise up as one against this great evil. As I reflect on Dr King’s words, his dreams, I am moved to tears as I see a world that could have been. A world of great prosperity and happiness for all who aspire to it. A world where each and every man, woman, and child knows that they have no roadblocks to reaching their full potential. I see a world where every man woman and child has the opportunity to shine. This is a world where, instead of worrying about equal results, an impossible goal, we make sure there is equal opportunity. In this world we understand that we cannot guarantee outcome, equal results, but we can guarantee that every man, woman, and child starts in the same place, and has no artificial barriers placed in front of them. In this world we understand that we cannot re-distribute talent, we cannot re-distribute efforts or results. And me most assuredly MUST not re-distribute wealth, as this is an idea that only shares equal misery, not equal success. We have a government led by a political party that bases it’s entire being on dividing this nation, on making sure that we fight each other, rather than this government. We have a government that uses the color of their leader’s skin to intimidate, to harass, and yes, to keep divided those who would, under normal circumstances, eagerly join together, in the common cause of liberty and freedom. Men and women who would eagerly unite to defeat the oppressor. Liberty and freedom are the innate desires of all mankind. 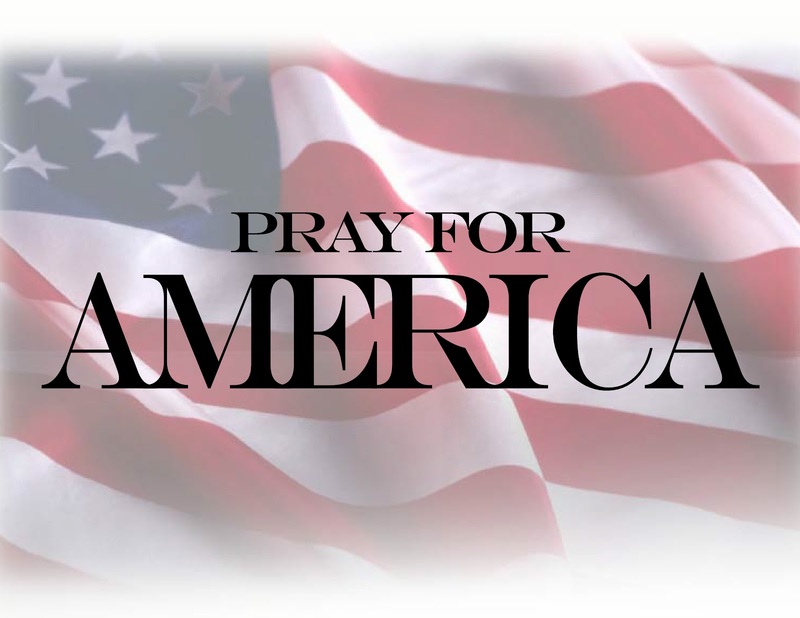 We are given these rights of liberty and freedom by the Almighty God in the heavens. They belong to no man, no government, and no man, or no government has the authority to take those rights away. 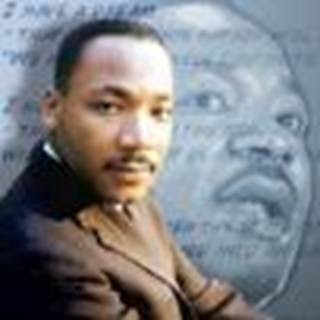 As we reflect on the man, the leader, it is imperative that we take up Dr King’s cause, the cause that is righteous. It is imperative that we look past the race baiters and the race hustlers. We must look past those who seek to divide us and find ways for us all join together in pursuit of the common cause of true liberty and freedom for all. I truly believe if we can unite and defeat this great evil that grips our nation, to permanently remove those who sow the seeds of artificial discontent for their own gains, America can grow and prosper, and the potential for all mankind will know no bounds. There will be no limits to a man’s successes, except those he places on himself. We must unite and we must break the chains of oppression. 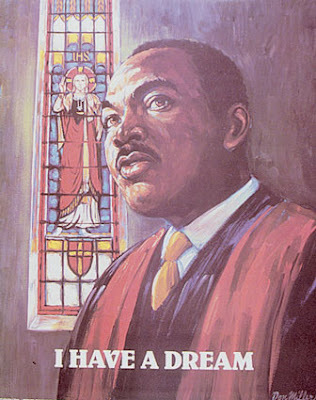 But more importantly, we must then work to make sure that Dr King’s dream comes true. We must create a world where the only judge of a man is his character, where character is a man’s supreme calling card, where character is all that matters. As we reflect on the life of Dr. King, let us pledge to unite and create this world. In closing, I’d like to include the thoughts and prayers expressed by another great leader, a leader for our time, as she reflects on the life of Dr Martin Luther King, Jr.
Today, America honors the memory of one of our greatest – Martin Luther King, Jr. He used his gifts and talents in selfless, mighty ways to mobilize efforts against racial discrimination and is deserving of our honor. Twenty years ago today, one of the most oppressive symbols of communism fell. This date should serve as a reminder that the Berlin Wall wasn’t meant to keep people from illegally entering East Germany. Nope, it was built to keep East Germans from escaping communist hell. Built to keep them in. Communism is slavery, nothing more, nothing less. Communism is the philosophy of failure, the creed of ignorance, and the gospel of envy. It’s inherent virtue is the equal sharing of misery. It should be telling to all Americans that while our current “president” has plenty of time to jet set around to places like Copenhagen, to shill for his corrupt Chicago buddies, and of course, play golf and shoot hoops, he is conspicuously absent from the festivities going on in Berlin this week. I have to wonder if, instead of cheering as most of us were twenty years ago, were Obama and his Marxist friends all shedding tears and consoling one another instead, at the fall of this symbol of oppression. Ronald Reagan railed against socialism and communism his entire life. When he became President, stopping the Soviet Union was one of his greatest goals. Reagan, along with Lady Margaret Thatcher and Pope John Paul II worked diligently to make it happen. Reagan, Thatcher, and the Pope along with millions more world wide understood that communism, in any form, is pure evil, that every man, woman, and child has an inherent yearning for freedom and liberty. It’s a God given right that all men shall be free. Here is a great video of the moments when the Berlin Wall fell, a true climax to decades of Cold War hostilities and human oppression. Despite the various security measures enforced, escape attempts were commonplace, especially in the years immediately following the erection of the wall, when there was still a fighting chance of making it across alive. Climbing was the obvious way to go and some 5,000 were said to have reached the other side. However in its thirty year history 100 people were shot dead, most famously the eighteen year old Peter Fetcher, who, after he was hit in the hip, was left to bleed to death in no-man’s land as the world’s media watched on. This serves as a stark reminder, that while people worldwide have taken drastic measures and even risked death to come to America, communist regimes have always had to force their people, under the threat of certain death, to stay! The video references the staggering 100 million deaths as the direct result of communism. These are people who were murdered by their dictatorial regimes. The don’t include those whose lives were cut short because of the generally poor lifestyle that communism allows. Poor food supplies, poor health care, poor living conditions. These murders were carried out by men like Stalin, Castro, Pol Pot, and Mao. Mao, in particular, is troubling, because he is so greatly admired by more than a few members of Barack Obama’s inner circle, his closest advisers. For more on the evils of communism, check out the Global Museum on Communism. 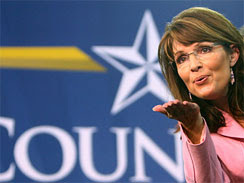 In closing, Sarah Palin’s tribute to freedom and liberty, that she so artfully penned, is not just a tribute to history. It’s a rallying cry to all patriots. As Obama and his evil regime is marching the United States towards communism at full speed, as tyranny and oppression are rapidly becoming a dark cloud over America, we still have time to fight. We still have time to beat back the evil, to defeat it. 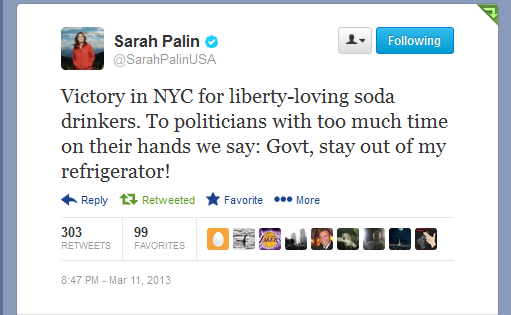 We must all follow Sarah’s lead. We must all be fully engaged in this struggle. America is the greatest nation in the world, and the American people the strongest, bravest, and freest the world has ever known. We can defeat Obama, we can defeat tyranny. We can restore liberty, freedom, and prosperity. We must. We simply must.